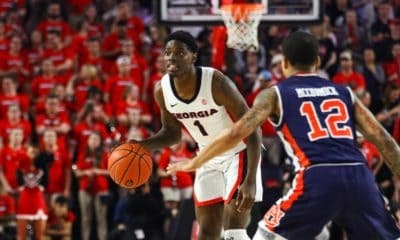 The 2012-13 Georgia Bulldogs Basketball Schedule was released by UGA today through an open records request. The SEC portion of the schedule is considered tentative until officially announced by the SEC and UGA. 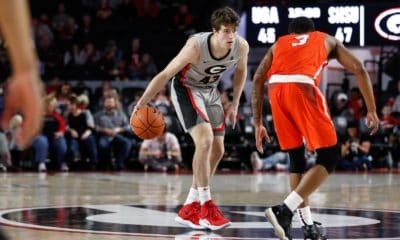 Georgia is tentatively set to open SEC play on Wednesday, Jan. 9 at the Florida Gators. The Bulldogs will also host Florida on Jan. 23. The Bulldogs were not expected to play Florida twice this season. However, last week it was reported that the SEC changed the schedules after they were agreed to at the meetings in Destin. According to the schedule we received, Georgia is also slated to play home-and-home series against Alabama, South Carolina, Tennessee, and Texas A&M. SEC teams that will visit Athens in 2013 include Auburn, Kentucky, LSU, and Mississippi State. Georgia is slated to travel to Arkansas, Mississippi State, Missouri, and Vanderbilt. The non-conference portion of the 2012-13 schedule was completed back in June. Those games were individually confirmed by contracts obtained from UGA. Georgia opens the 2012-13 regular-season at home on Friday, Nov. 2 against the Jacksonville Dolphins. Georgia then hosts a team to be announced (Nov. 12) and Southern Miss (tentative; Nov. 15) in the Athens Regional of the 2012 Legends Classic. 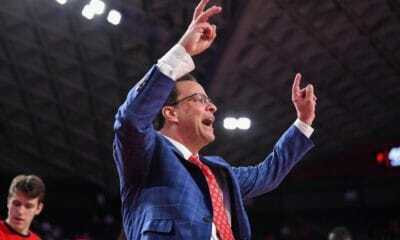 Georgia continues the Legends Classic at Barclays Arena in Brooklyn, NY against the Indiana Hoosiers on Nov. 19. The Dawgs will then face either Georgetown or UCLA in the championship game or consolation game (Nov. 20). After the Legends Classic, Georgia returns home to host East Tennessee State (Nov. 23) before traveling to face USF in the 2012 Big East/SEC Challenge (Nov. 30). On December 4, the Bulldogs travel to face in-state rival Georgia Tech. The remainder of the non-conference schedule includes five-straight home games: Iona (Dec. 15), Mercer (Dec. 18), USC (Dec. 22), Florida A&M (Dec. 29), and George Washington (Jan. 4). 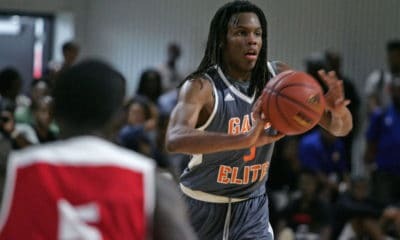 Georgia will also play an exhibition game against Young Harris on Nov. 2. The Mountain Lions are led by Pete Herrmann, former UGA associate head coach under Dennis Felton. Herrmann also served as the Bulldogs’ interim head coach for 12 games after Felton was fired.